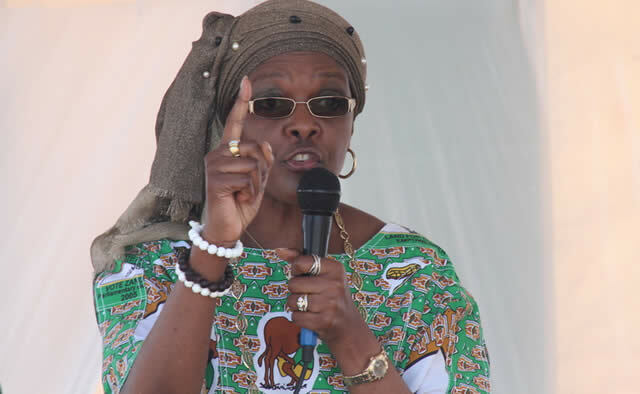 PRESIDENT Emmerson Mnangagwa facilitated former first lady Grace Mugabe’s return home from Singapore by chartered plane after Grace’s mother (83) died last week Thursday in Harare by sparing the former first lady the inconvenience of scheduled flights and return home as quickly as possible according to a senior Zanu-PF official. Relations between Mnangagwa and the former first family appear to be on the mend after hitting a deadly low as the fight for former president Mugabe’s succession came to head. After being publicly humiliated at rallies by Grace, Mnangagwa was dramatically fired from government and Zanu-PF by Mugabe in November last year. NPF spokesman Jealousy Mawarire commended Mnangagwa for the gesture. “I want to thank President Mnangagwa and his Presidium for facilitating for the travel of former First Lady Dr Mugabe back home for the funeral of Ambuya Marufu,” Mawarire said on Twitter. FOUR SHOT AT ARCTURUS MINE,..Zimbabwe open season for shooting, the land of ‘don’t ask questions,..just shoot to kill at Arcturus Mine as security guards opened fire in battle over the gold field rages on with panners!